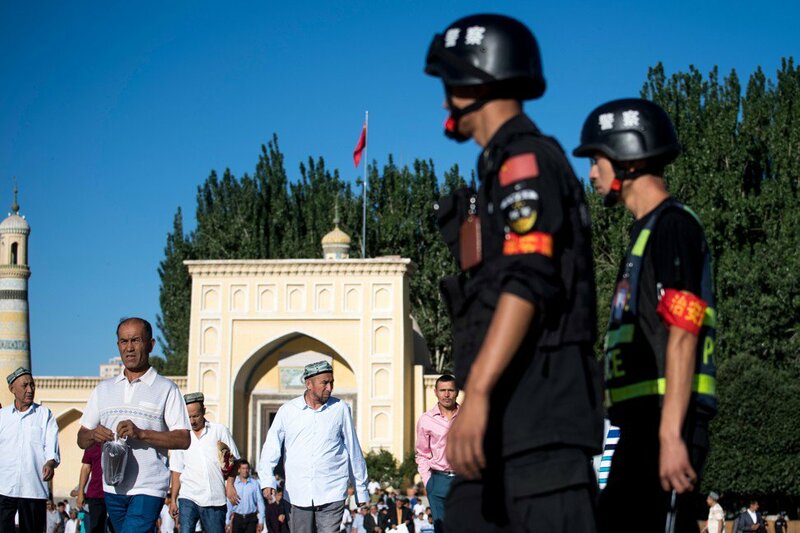 Weizhou (AsiaNews/Agencies) – Protests have broken out in the Ningxia Autonomous Region after the authorities decided to tear down the Grand Mosque in Weizhou. Thousands of ethnic Hui Muslims protested Thursday, when they occupied the square in front of the place of worship. As a result of the rally, the authorities were forced to postpone the demolition. The head of the county tried to reassure the faithful, telling them that the mosque would not be torn down until a deal is reached to build another one. After days of negotiations between the authorities and religious leaders, it was agreed earlier on Thursday that the government would not demolish the mosque but remove eight of its domes. The new mosque replaced an earlier one that had been built to replace Weizhou’s 600-year-old Chinese-style mosque, which was destroyed during the Cultural Revolution. One of two red banners strung from the mosque’s exterior walls read: “Resolutely support the Chinese Communist Party, defend ethnic unity, safeguard the freedom of faith”. The banner stress subordination to the Party but demand religious freedom as promised by the Chinese constitution. Tearing down places of worship, including many churches, is part of an ongoing campaign to “sinicise" China’s religions, Christianity included. Churches too have been affected. “Sinicisation” means submission to the Party and the elimination of foreign influences, including in art and architecture. In the case of Islam, Muslim icons and Arabic signs have been removed from streets in towns and counties across the region. For decades, China’s Hui Muslims have been left in peace by the regional government. However, as the government intensifies its crackdown against Uyghurs in Xinjiang, the Hui are also being targeted. The government fears a rise in radicalism. For this reason, several mosques in Ningxia have been ordered to cancel public Arabic classes, whilst a number of private Arabic schools have been told to shut down. Children under 16 are no longer allowed to engage in religious activity or study in Linxia, a deeply Islamic county in Gansu, a province next to Ningxia, in western China. The latter had been a haven of comparative religious tolerance for local ethnic Hui Muslims. Recently the authorities have instructed mosques to display national flags and stop sounding the call to prayer to reduce “noise pollution”. 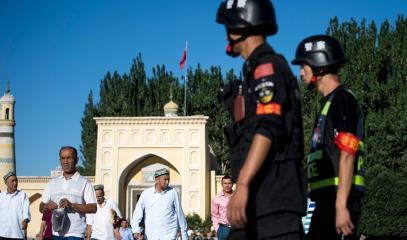 In view of what is happening, Hui Muslims fear they will be subjected to the kind of surveillance and repression that Uyghurs have to endure in Xinjiang. More than a thousand boys used to attend his mid-sized mosque to study Qurʾānic basics during summer and winter school holidays but now they are banned from even entering the premises. Parents were told the ban on extracurricular Qurʾānic study was for their children’s own good, so they could rest and focus on regular coursework. There are more than 10 million Hui in China, half of the country's Muslim population, according to 2012 government figures. In Linxia, ​​they are well integrated with the Han ethnic majority and have always had the opportunity to practise their faith freely.